Click here for a downloadable .pdf order form. 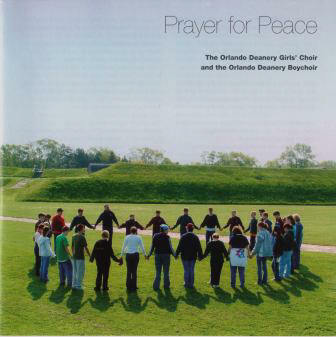 "Prayer for Peace" features the anthem for treble voices "Teach Us" as can be heard on the Composer page of this website. Ordering information may be obtained by contacting The Cathedral Church of St. Luke, 130 North Magnolia Avenue, Orlando, Florida, 32801 or 407 . 849 . 0680. 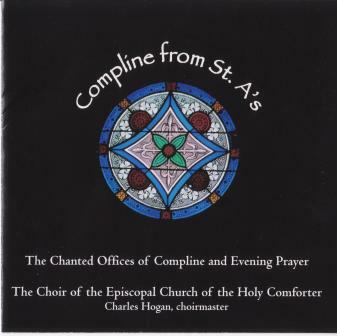 "Compline from St. A's" features the Holy Comforter Choir singing various chants and hymns of the Compline service and also Evening Prayer (Rite II). 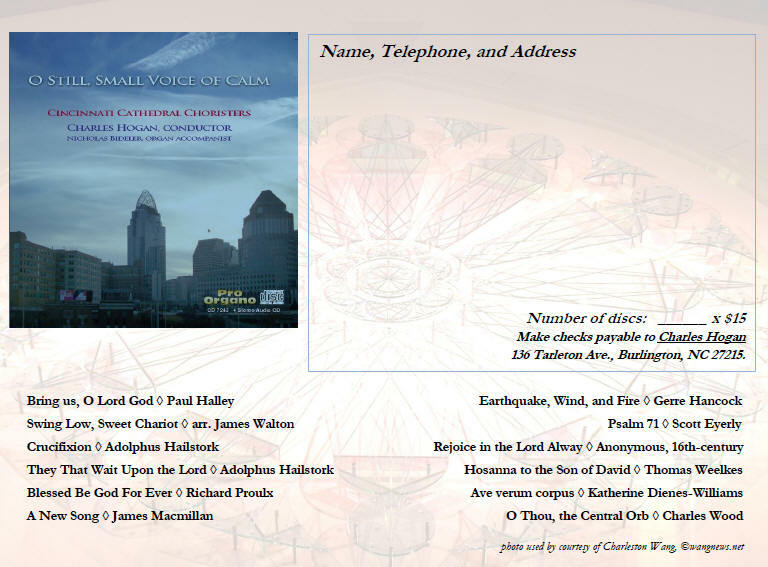 Ordering information may be obtained by contacting Church of the Holy Comforter, P.O. Box 1336, Burlington, North Carolina, 27216 or 336 . 227 . 4251. 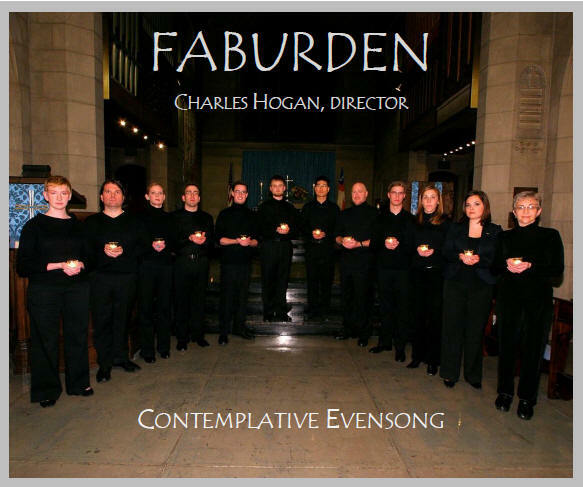 "Contemplative Evensong" featuring the Cincinnati-based Faburden in their first professional recording and excerpts are found throughout the website. Details are forthcoming. Email Charles if you desire more information.